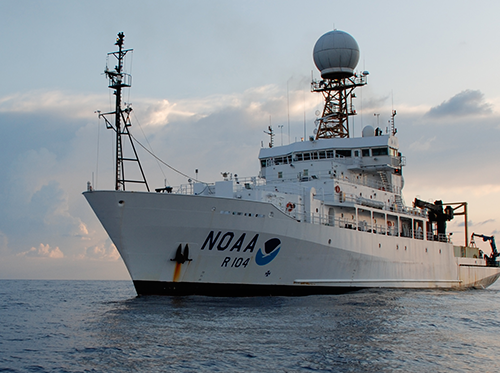 The Physical Sciences Division has participated in numerous research cruises over the past 15+ years. Our instruments are an integral part of studies measuring atmospheric conditions and climate processes, and also help to validate the accuracy of data from ships, buoys and satellites. The data linked from the table below are stored on a data storage system at PSD in Boulder, CO. Each project has the same directory structure in the archive. After a project, raw data and raw images are placed in the archive. Scientific products are placed in the archive as they become available. Since instrumentation can change from project to project, readme files are used to describe the raw and scientific data and images in the archive. For instruments not listed in the table, click on the link for the specific project you are interested in and check the directory tree, or check the cruise data spreadsheet.